THE CHEW - "The Chew" celebrates the 20th Epcot International Food and Wine Festival from Walt Disney World, airing October 12-16, 2015. ABC’s Emmy Award-winning lifestyle series, “The Chew,” returns to Walt Disney World Resort this fall to broadcast five shows from the 21st Epcot International Food & Wine Festival. “The Chew” shows, to record Oct. 5-7 against the park’s iconic Spaceship Earth backdrop with co-hosts Mario Batali, Michael Symon, Carla Hall, Clinton Kelly and Daphne Oz, will air on the ABC Television Network Oct. 10-14, 2016, at 1 p.m. EST, 12 pm PT (check local listings). The dynamic, Emmy Award-winning co-hosts, who delighted audiences last year with stories of their Disney adventures as they whipped up delectable dishes and drinks, will share tasty new recipes and a bounty of festival surprises with their Epcot audiences. Throughout the festival’s 62-day culinary celebration, which runs Sept. 14-Nov. 14, “The Chew” also will feature segments highlighting food and beverages from “around the world” of Walt Disney World Resort and its four theme parks and Disney Springs. Fans of “The Chew” and the annual Epcot festival can savor bites inspired by the popular talk show at The Chew Collective in the Next Eats festival area of Future World. Three delicious dishes – Grilled Beef Skewer with Romaine, Apricots and Feta Cheese; Ricotta and Zucchini Ravioli with Rustic Tomato Sauce and Peanut Butter and White Chocolate Mousse with a Caramel Drizzle – will be the stars of the menu. Festival guests also can sip this year’s exclusive new Festival Chardonnay and Cabernet Sauvignon at The Chew Collective. Last year marked a historic first when festival marketplaces expanded into the park’s Future World area. At the Festival Center, guests can watch screenings of “The Chew” show highlights, cooking and entertaining tips, and same-day episodes of “The Chew” Monday through Friday at 1 p.m. Instructions on how to obtain show taping tickets will be announced at a later date. 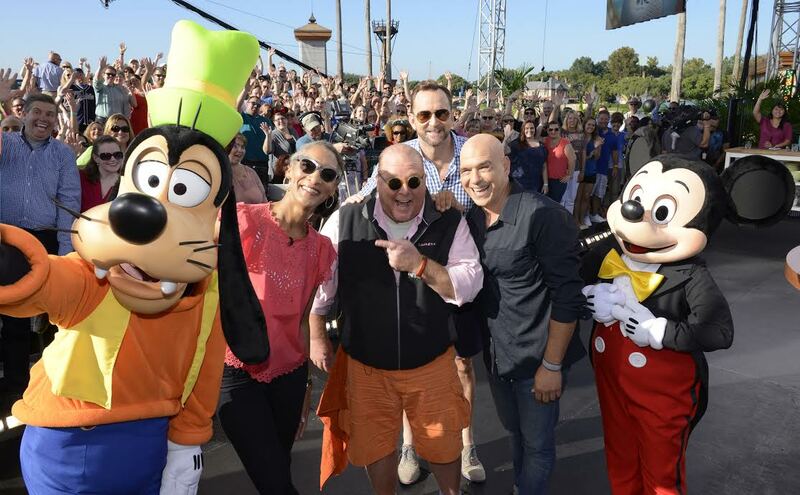 In addition, “The Chew” will re-broadcast its 2015 shows taped at Epcot the week of July 25, 2016 as part of the network’s summer programming lineup (Monday-Friday, check local listings).